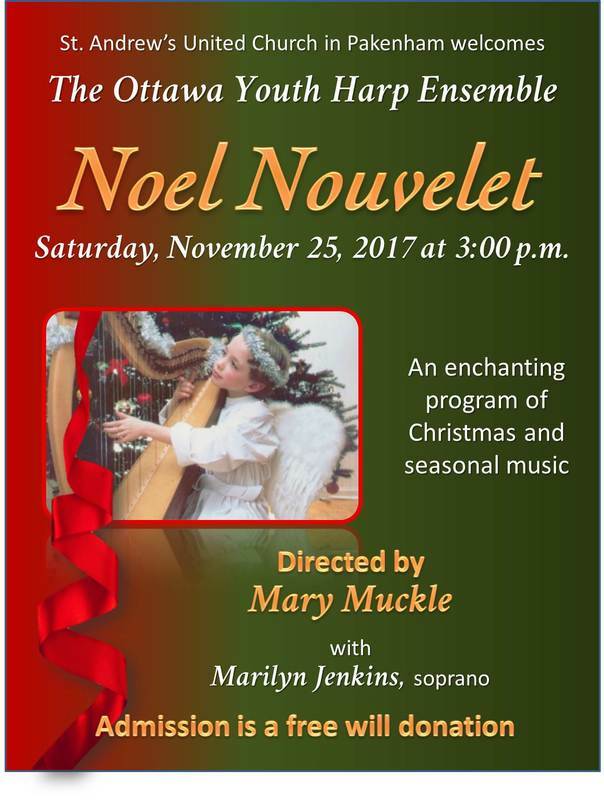 The Ottawa Youth Harp Ensemble and special musical guests are returning to St. Andrew's for an afternoon of beautiful music. Join us for a program of Christmas and seasonal pieces to help get you into the spirit of the approaching season. ​Saturday, November 25, 2017 at 3:00 p.m.